5 Best Mutual Funds to make an investment in April 2019. We have entered into April, the 4th month of the year and the first month of a new financial year. Maintaining a good performance the market showed a mix of upward and downward rallies, but have managed to stay above the crucial levels. Due to such great performance investors are taking sighs of relief. FIIs (Foreign Institutional Investors) have made considerable investments in the past few months to grab the opportunities of the market and if you are also planning on making investments, this is one of the best times to do so. Now, in the past few months, an improvement has been seen among almost all the equity market indices. There are various factors that affected performance in different ways. After considering all the factors and analyzing different parameters, the experts of MySIPonline have selected 5 best mutual fund schemes in which you can invest to enjoy optimal growth in the coming years. In the past few months, finance and banking stocks have shown good growth and the top banking stocks have touched their all time high. Also, the experts are expecting this sector to be one of the best performers in the year 2019. To grab the opportunities of this sector one of the best schemes that you can add in your portfolio is SBI Banking & Financial Services Fund. The scheme invests predominantly in the finance sector and currently has 15 stocks in its portfolio, consisting the major banking and financial companies. The stocks have been picked from across the market cap with 62.22% investments in the large caps, 29.55% in the mid caps, and 8.23% in the small cap companies. A great choice for investors who prefer the financial sector and have a high risk tolerance. Mirae Asset Emerging Bluechip Fund has been managing to make its name in every recommendation list and the credit goes to its exceptional performance in different market conditions. 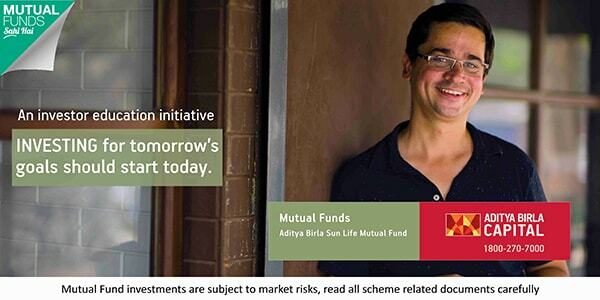 The scheme invests in a mix of large cap & mid caps to provide optimal growth to investors. The investment style is growth oriented accompanied by a diversified stock picking with current investments in 62 stocks. The sector allocation is finance oriented, followed by healthcare, energy, automobile, FMCG and other major sectors of the equity market. The overall allocation and investment style makes it one of the best mutual fund schemes to invest in April 2019. It is suitable for investors with moderately high risk appetite and an investment horizon of 5 years and more. HDFC Top 100 Fund is one of the oldest and most consistent players of the large cap category. It follows the aim of providing long term capital growth by investing predominantly in the stocks of companies that rank 1-100 in the equity market in terms of market capitalization. As of now, the scheme is following a partially diversified investment style with investments in 46 stocks and a blend of growth and value investing to grab the opportunities in the equity market. The large caps (91.58%) hold the major allocation, but mid caps (8.42%) also holds a small part of the total investments. Finance sector (38.55%) is currently holding the major investment, followed by energy (25.72%), technology (13.62%), construction (6.56%), and other major sectors of the equity market. A great choice for investors with moderate risk appetite and a long term investment horizon. Multi cap funds are a great choice to grab the opportunities across the market cap, and one scheme that has been true to this aim is Kotak Standard Multi Cap Fund. Due to its exceptional performance over the years, this multi cap scheme has managed to gain huge popularity among investors and the same can be seen from the size of its AUM. At present, the scheme is following a growth oriented investment style along with a diversified stock picking with currently having investments in 57 stocks. The market cap allocation is large cap (77.07%) oriented but a considerable allocation has also been given to the mid caps (21.90%). Just like the above schemes, this fund has a finance (37.76%) oriented sector allocation, which makes it an attractive pick for April 2019. Over the years, L&T Midcap Fund has managed to retain its place as the best mid cap fund by providing outstanding performance. In the past 3, 5, and 7 years, it has provided annualized returns of 17.32%, 22.09%, and 19.81%, respectively (as on Apr 08, 2019), securing 1st rank in the category. Currently, the scheme is following a diversified style of investing with current investments in 78 stocks picked across from 14 equity sectors. Finance is the most preferred one, followed by construction, engineering, services, healthcare, and other major sectors of the equity market. So, these are the funds from which you can choose to invest in April 2019 to enjoy a great long term growth. Now from this list, you can either select one that best fits your investment approach and risk appetite, or you can also create a balanced portfolio by selecting multiple schemes. If you have any query, feel free to connect with the experts to get a much detailed analysis.